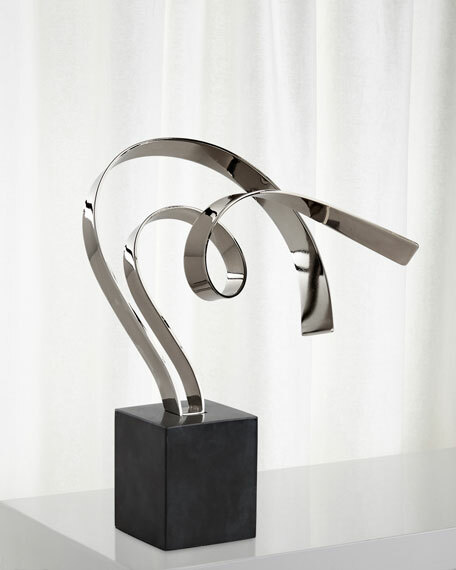 Braving this task is this handsome sculpture, crafted solely from metal and marble. A polished nickel finish gives the two bands an enrapturing shine, the curves catching and reflecting light around the room. It stands on a thick marble base for balance and visual harmony. Steel sculpture on marble base. Black marble tone and grain may vary. 8"W x 8"D x 10.5"T.
Boxed weight, approximately 4.5 lbs.